Houston, TX 77056 | Map us! 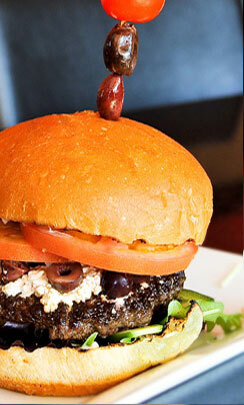 Searching for truly gourmet burgers made with all-natural Kobe beef, served in a welcoming setting? Take it from the Houston Chronicle and hundreds of devoted customers: The Burger Palace is the destination for creative gourmet burgers. Highlighting the menu are the burgers made with 100 percent Akaushi American Kobe beef, which is two full grades higher than U.S. Prime. The result is a juicy, tender, and flavorful burger like no other. The Burger Palace is proud to participate in events in and around Houston, such as the University of Houston BurgerFest!